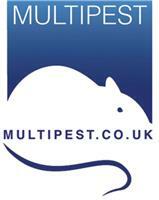 MULTIPEST - Pest/Vermin Control based in 25 Greenhill Crescent, Hertfordshire. Mutlipest has years of experience in a wide range of pest control and support services. We have expanded throughout the UK and offer dedicated pest control solutions to commercial and domestic properties. Our staff are highly trained with emphasis firmly placed on the delivery of service and commitment to our clients. We provide pest control services for a wide variety of organisations. The scope of our services is extensive, ranging from the basic pest control concern at a domestic property through to highly specialised work involving larger commercial properties with legal obligations which need to be adhered to. We are proud to announce that we are now members of The Confederation of European Pest Management Association (CEPA). This standard benchmarks our business against an international service standard for professional pest controllers. . This accreditation is supported and recommended by the BPCA as a positive enhancement to the pest control industry.